Built 1892-1894 as "Ceské divadlo" by Josef Srb. 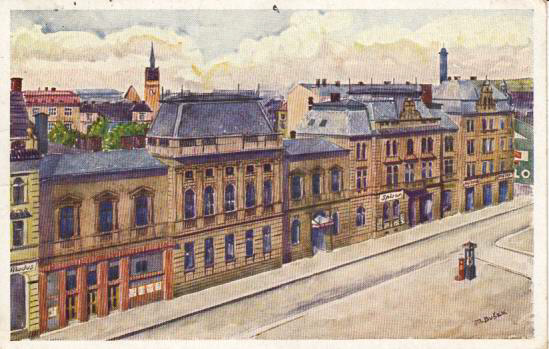 Opened 16 June 1894 with Ladislav Stroupeznický's comedy "Paní mincmistrová". 1964 named in honour of the Czech actor and theatre director, Jirí Myron (1884-1954). Front Text: signature "M. Busek"
Reverse Text: "Mähr. Ostrau: Tschechisches Theater - Mor. Ostrava: Ceské divadlo"